A Clean Sweep Across the Club! Coming off the back of a friendly match on Friday where they struggled the get the ball out of their half, the U13's boys came out firing. A big effort by the whole team saw them dominate the game from start to finish. Walking off the pitch at half time leading 1-0, the team made a few small changes to their lineup and style of play. The second half saw the floodgates open and the goals started to flow, with the boys walking away with a 4-0 win. Goals to Will Rankin x2, Isaac Broomfield and Oliver Macnair and a clean sheet rounded out the day, in another great performance by our 13's. 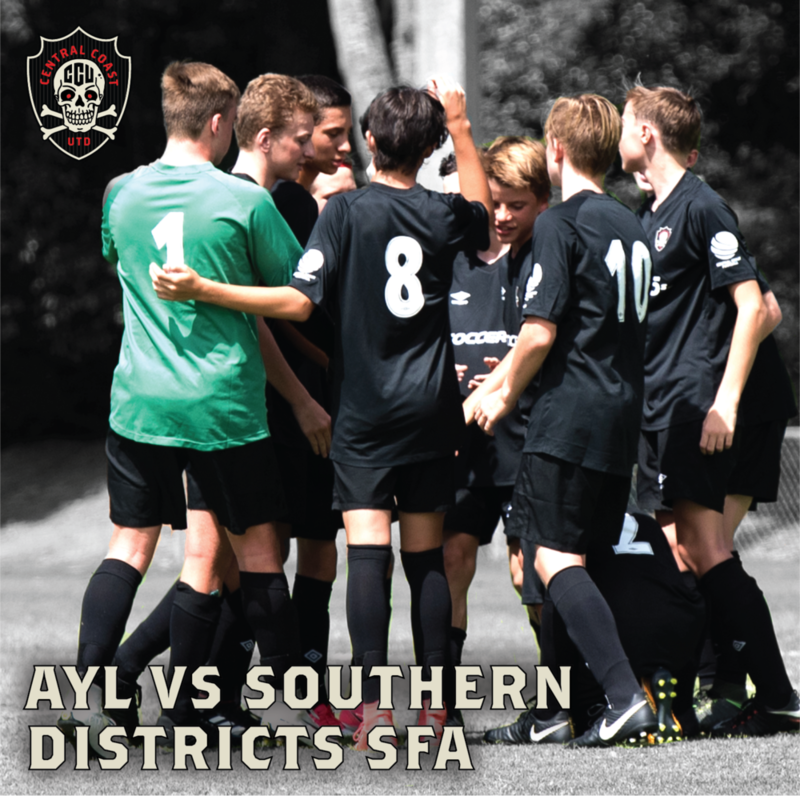 Our U14's were looking to follow the 13's winning ways, and they came out firing against Southern Districts. Taking control of the game from the whistle, the 14's dominated the game, playing out from the back and creating a number of forward runs down the flanks. Unfortunately, the boys struggled to finish their chances on a few occasions, however goals to Bailey Holt and Ryan Brown were enough to secure the win for the CCU 14's. The U15s were next up and enjoyed a controlling win whilst playing in new shape they've been preparing. They used the extra players available in the build up to maintain a calmness throughout the entire match. Despite not finding the net in the first half, the players made a half time adjustment and created a few more chances for lead striker Jack. Adding two more goals to his season tally, Jack remains in the hunt for Golden Boot, and helped the 14's achieve a comfortable 2-0 win. Continuing their work on forward runs and creating an attacking overload brought the U16's their most dominant performance this season. With players rotated again to also continue the development of everyone’s versatility, the game saw a lot of the CCU boys playing out of their comfort zones. Despite this, some great performances came out of the game, with one of those being Harry our man of the match and a very widely utilised player so far, enjoying a first half hat trick and then remaining solid in defence to finish off the game strong. Goals to Jayden Debono, Ryan Martz, Saxon Peers and Jarred Steen added to Harry's hat trick, taking the final score to a convincing 7-0 win. Round 17 provided another tough surface for the boys to play their brand of football on but, as always, they adapted. The 18's started well and applied early pressure resulting in another goal from Peter Stewart. With the midfield on top and Matt Zucconi and Luke Jacobs offering good support out wide, the boys were able to add to the scoreline with Pete Stewart completing a first half hatrick either side of a Mitch Wood strike and a brilliant half volley from Luke Jacobs. After several early changes in the second half, and still a number of chances being created, the team added one more goal to their tally through Mitch Wood, scoring his second with a ferocious left foot shot just inside the penalty area. This took the final score to a comfortable 6-0 win for the 18's. 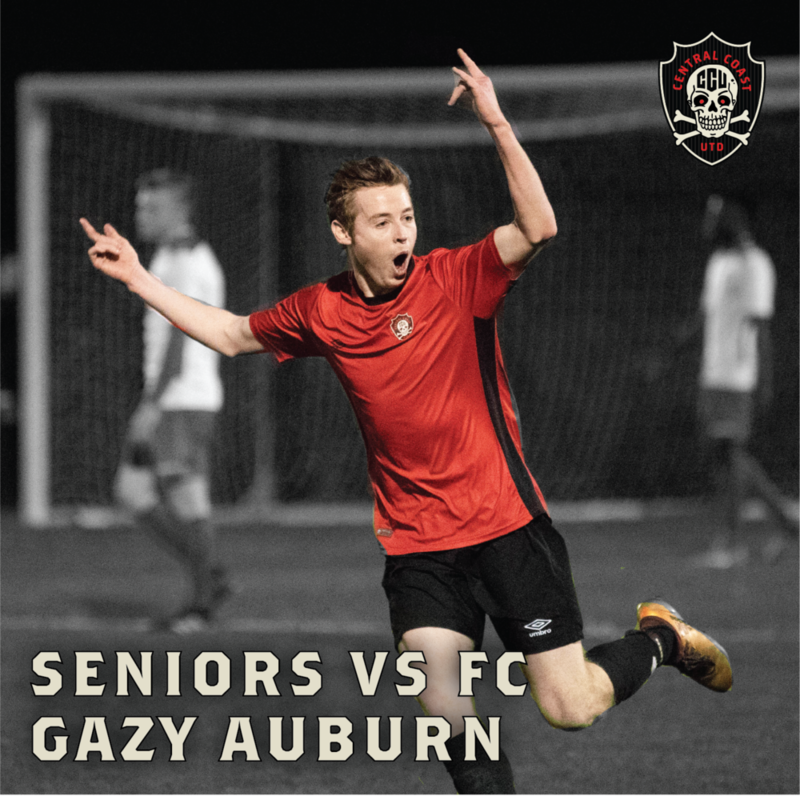 Our 20's were the next of the Senior teams up to face FC Gazy Auburn in a game that they knew shouldn't be taken lightly. It was a hard fought but well deserved win, as the 20's players took the game to Gazy from the first minute and defended on the front foot well. Noah Ajala stepped up from 18s for his second start of the season with 20s and performed very well again along with Peter Stewart who received his first call up to 20s which was long overdue and saw him score on debut. Stewart now sits on 20 goals for the season so far. TD Dean Heffernan stated that, "there were some moments in the game up there with some of the best play so far this season, in the first and second half alike." Confidence will be high in the 20's team, going into these next few games. It was a case of one out and one in for the away trip at Progress Park verses FC Gazy Auburn. Josh Swadling serving his 1 match suspension for collecting his 5th yellow card last week and Adam Woodbine returning after being sidelined with an injury for the past couple of weeks. Woodbine was back with a bang too when he converted an inch perfect Cade Mapu cross, heading it in powerfully with a well-timed run inside the far post after just 5 minutes. This goal set the tone for the half, the next 40 minutes was some of the best attacking play 1st Grade have produced in a while. Alex Arbelo doubled the lead with a nice strike just inside the box after a poorly executed clearance fell to him. Woodbine scored his second for the half finishing a tremendous move involving Daniel McFarlane and Adam Blunden. Jordon Bennett almost scored in his last appearance for the club before heading Stateside to take up a scholarship, just firing over the bar. Scott McGinley was next to get on the scoresheet with a typically determined drive into the box seeing the ball fall to his feet with just the keeper to beat, he was never going to miss; 4-0 up at halftime. The second half started with the same pattern as the 1st and it only took a few minutes before Woodbine secured his hatrick, shooting across the keeper from the left side of the box after beating their offside attempts. With the result beyond doubt, there was some complacency in the rest of the half but the strike of the game from Alex Arbelo still added one more significant highlight, a perfectly timed clean thunderbolt flying into the top corner from the edge of the box. Although the game did become a bit stop-start the boys were very committed to keep a clean sheet and the match finished 6-0. Coach Davis was particularly pleased with the attacking patterns of play and the clinical finishing.